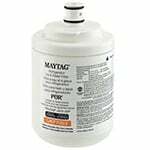 With the PureH2O PH21500 Replacement for Maytag PuriClean II compatible refrigerator water filter you get NSF42 Certified chlorine taste and odor reduction while saving a lot of money in the process. 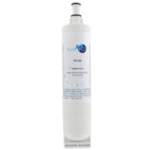 With the PureH2O PH21500 Replacement for Tier1 RWF1040 compatible refrigerator water filter you get NSF42 Certified chlorine taste and odor reduction while saving a lot of money in the process. With the PureH2O PH21500 Replacement for HDX FMM-2 compatible refrigerator water filter you get NSF42 Certified chlorine taste and odor reduction while saving a lot of money in the process. 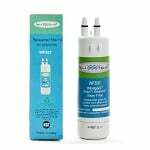 With the PureH2O PH21500 Replacement for Fisher & Paykel 13040210 compatible refrigerator water filter you get NSF42 Certified chlorine taste and odor reduction while saving a lot of money in the process. The PureH2O PH21200 is the correct replacement for the Kenmore 46-9085. 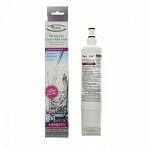 The AquaFresh WF537 is the correct replacement for the Kenmore 46-9930. 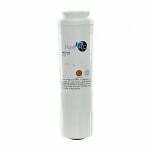 The PureH2O PH21200 Replacement for Whirlpool 4396918 Refrigerator Filter Cartridge is a replacement refrigerator water filter that fits several refrigerator models. 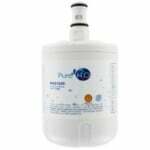 The PureH2O PH21200 Replacement for Kenmore 46-9902 Replacement Water Filter is a replacement refrigerator water filter that reduces chlorine taste and odor, dirt, rust, and scale build-up in drinking water and ice. The PureH2O PH21200 Replacement for Whirlpool WF-NLC240V fits side by side refrigerators with filter access through the front grille. 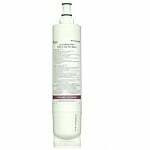 The PureH2O PH21200 Replacement for Whirlpool 4396509 Replacement Water Filter is the correct replacement for the 4396509 refrigerator water filter. 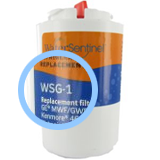 The AquaFresh WF537 is the correct replacement for the Kenmore P4RFKB2. 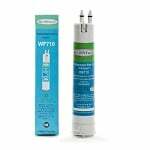 With the PureH2O PH21500 Replacement for KitchenAid 67003523 compatible refrigerator water filter you get NSF42 Certified chlorine taste and odor reduction while saving a lot of money in the process. 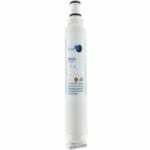 The PureH2O PH21200 Replacement for Kenmore 46-9908 Refrigerator Water Filter fits refrigerator models that have a twist to remove cartridge in the front base grille.